MIAMI — A man claiming he has been disabled since 2010 is suing an insurance company, alleging that it knowingly violated the Employee Retirement Income Security Act by terminating his long-term disability benefits. Bruce Schwartz filed suit against Reliance Standard Life Insurance Co. on Feb. 17 in U.S. District Court for the Southern District of Florida. According to the complaint, the plaintiff alleges that he has been disabled since Oct. 19, 2010. 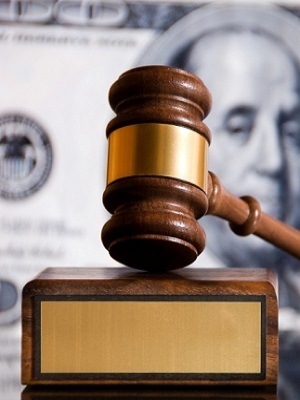 The suit states that the defendant terminated his long-term disability benefits on July 28, 2014, and that the benefits have not resumed despite two appeals by the plaintiff. The plaintiff holds Reliance Standard Life Insurance Co. responsible because the defendant allegedly failed to adequately investigate the merits of his claim. The plaintiff seeks the following: an order to reinstate his benefits; compensation for disability benefits due, pre-judgment and post-judgment interest, attorneys’ fees and costs and any further relief that the court may deem just and proper. He is represented by Alexander A. Palamara of Attorneys Dell & Schaefer Chartered in Hollywood, Florida.